A Lump of Mud proclaiming the Word of God, so that the excellence of the power may be of God and not of us. Do We Really Have Two Natures? Are there "two wolves" fighting for control of my life? What Is Our Inheritance? Why Must We Claim It? Will Your Ministry Be a Sacrifice or a Way of Life? Can 1 Peter 3:1-6 be taught without sounding totally antiquated in modern American society? We Can’t Send in the Clown? 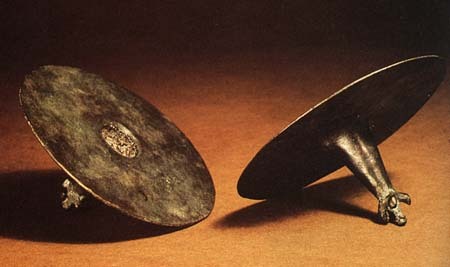 If you hear a tinkling cymbal when your pastor preaches, you can bet God has not heard struggle in prayer. Pastors are much more than their sermons or programs. Sermons are the outflow of your life, just as God’s Word is the outflow of His being. Programs are the outflow of your heart, just as the practices of God are the outflow of His heart. Prayer connects the Heart of a pastor with the heart of God. Long after the words of the sermon have been forgotten, the touch from the heart of the pastor lives on. God does not come into the pastor’s work simply because he is a pastor. God comes by prayer and an expression of need. That God is found of us in the day we seek Him with our whole heart is as true of the pastor as of the repentant. A prayerful ministry is the only ministry that brings the pastor into communion with both God and the needs of his people. Prayer unites the pastor’s heart as much with his people as it does with His Abba, Father. Pastors are not made in the seminary. Pastors are made in the prayer closet. Great learning makes a proud pastor. Great praying makes a pastor a man of God. The sweetest spirit by the slightest perversion may bear the bitterest fruit. So the sweetest pastor by lack of prayer may bear the most shallow ministry. Prayer gives the preaching of the pastor life, life as the springs give life. Prayer is the conduit for the spring of living water. Prayer keeps the pastor thirsting for the life-giving power of God. Without prayer, the life-giving spring of a pastor’s life becomes a trickle of apathy and insignificance. Tears produced by Spiritless preaching are but summer’s breath on a snow man, nothing but surface slush. A pastor’s sermon may appear to be heart-felt and earnest, but without the power of prayer, it is the emotion of an actor and the earnestness of an attorney. The sermon may glow with the intelligence and verbal skill of a well-trained pastor, but without the Holy Spirit, the glow and glitter will be as barren as a field sown with thistles. A Prayerless pastor exalts self in the Holy of Holies. A Prayerless pastor has been disconnected from the divine current. 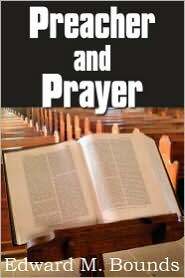 Prayerlessness violates and defames the power of the Holy of Holies in the church of God. A life-giving pastor costs much – death to self, crucifixion to the world and travail of soul in prayer. Without the life of the Spirit, beautiful words of a sermon are but the beautiful flowers surrounding the coffin. Prayer transforms the pastor into the pastor God needs him to be. Prayerless pastors are death to a Spirit-filled church. The pastor feeble in prayer is feeble in the Life-giving Spirit! Fleshly pastors can draw people to themselves and to his church, but the church will be a graveyard, not an embattled army. Fleshly pastors advance sin, not holiness, and populate hell, not heaven. Apart from prayer, pastors tend to a dead flock. Feeble sheep follow prayerless pastors. Unless the pastor is the greatest of prayers, he will become the greatest of backsliders. It is impossible for a pastor to keep his spirit in harmony with the heart of God without much prayer. The work of the ministry will harden the pastor’s heart if devoid of prayer. Pastors weak in prayer are to be pitied by their people. Prayerless pastors build prayerless churches. Powerful ministry is not flavored by prayer, but embodied by prayer. Effectual prayer builds an effectual ministry. Prayer that is made much of produces sermons that are made much of. Minor prayers make minor pastors. Life-giving pastors are graduates of the school of prayer. Talking to men for God can be done by anyone. Talking to God for men is done by few. Pastors coat their sermons with prayer, but God wants us to bathe them in prayer. Powerful sermons flow from prayer; dead sermons are bookended by it. The pastor’s study must become a closet, and altar, a ladder, that every thought ascend God-ward before it goes man-ward. Sermons are scented by God through prayer. A Pastor must move God toward his people before he can move his people to God. True praying is born of oneness with Christ and fullness of the Holy Spirit. Pastors empowered by true praying carry the true seeds of eternal life to their people. Popular pastors are often prayerless pastors. 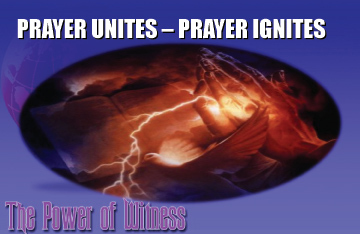 Prayerless pastors see no urgent need for the power of the Holy Spirit. Pastors who are mightiest in their closets with God are the mightiest in their pulpits with men. Today’s pastor feels pressured to focus on man’s methods and plans for advancing his church. Instead, he should feel pressure to seek the heart of God through prayer. It is God who gives the increase. God gives His increase not through methods and machines, but through men whose hearts are fully committed to Him. Advancing the church is not a matter of methods, but a matter of the hearts of your people. Prayer changes the hearts of men. What Makes the Church and Why Be a Member? I had a call this week from the daughter of a couple that lives near our church. Many of you would recognize her parents name. Seems her parents have been living together the last 20 years or so and never got married. Now they are thinking about making it legal and are looking into having a quaint church wedding. She said that because I was the priest they would want me to do the wedding. I corrected her of course, but I said that as Pastor I take marriage very seriously. For Your Information I have four prerequisites that must be met before I will bless the marriage of a man and woman. They must go through premarital counseling before I agree to marry them. They must have the blessings of both sets of parents. Some of you are thinking, Brother Jim, that seems pretty harsh. After all, they have been living together and need to make it official. Plus they are our neighbors, and this is a chance to reach out to them. I understand your thoughts, but consider this: Do we ever have an excuse to take God for granted? NO! God is Holy, He is Righteous. He has standards and He reigns in Heaven whether we acknowledge Him or not. One day everyone will have an appointment with the God who created them and will answer for why they took Him for granted. If we can’t ever take God for granted, then we can’t take Jesus for granted. And if we can’t take Jesus for granted, we can’t take His wife for granted. And the church is His wife. Now when it comes to the church, the bride of Christ, we see a Universal application, but we also see a local application. We dishonor the Word of God. Because we love ourselves we tend to do what we want when we want it. Because we dishonor God’s Word, we dishonor God, we dishonor the church, we dishonor preachers, we dishonor pastors. When you dishonor God’s Word, you start to dishonor everything about God and what God says is important. We dishonor marriage, we dishonor the family, we dishonor our relationships with each other. What is Membership All About? First, let’s look at Black’s Law Dictionary and see what our Courts say a church is. A body or community of Christians, united under one form of government by the profession of one faith, and the observance of the same rituals and ceremonies. Black’s Law Dictionary 3rd, 4th, 5th, 6th eds. 1. Jesus says the church is something He is Building. Jesus is the Architect, the owner, the developer, the reason there is a church. 2. Jesus says His church has Great Power. 3. Jesus says His Church is built upon Stones that all Declare the same Message. Jesus is the Christ, the Son of the Living God. The Church is all about Jesus and His Living in us, empowering us to reach out to those who are without Jesus. Christ appears here, not as the foundation, but as the architect: “On this rock will I build.” The church is a collection of pieces of living rocks that when combined by the power of God are impenetrable. Peter was the first, just as Abraham was the first. John 15:19 If ye were of the world, the world would love his own: but because ye are not of the world, but I have chosen you out of the world, therefore the world hateth you. John 17:16 They are not of the world, even as I am not of the world. The church is to be like the altar of stones upon which the Jews sacrificed to Holy God. Exodus 20:24 An altar of earth thou shalt make unto me, and shalt sacrifice thereon thy burnt offerings, and thy peace offerings, thy sheep, and thine oxen: in all places where I record my name I will come unto thee, and I will bless thee. We have the AUTHORITY & POWER of our King. Matthew 28:18-20 And Jesus came and spake unto them, saying, All power is given unto me in heaven and in earth. Go ye therefore, and teach all nations, baptizing them in the name of the Father, and of the Son, and of the Holy Ghost: Teaching them to observe all things whatsoever I have commanded you: and, lo, I am with you alway, even unto the end of the world. Amen. Ephesians 1:22-23 And hath put all [things] under his feet, and gave him [to be] the head over all [things] to the church, Which is his body, the fulness of him that filleth all in all. 1 Corinthians 12:25 That there should be no schism in the body; but [that] the members should have the same care one for another. We follow an unseen King, and obey His commands. That obedience keeps us in His Kingdom and not in the devil’s. As long as we obey our King, we have our King’s Authority in this world. Since Jesus is reigning in an undisclosed location, and since He is still seeking more living stones to keep building His church, He needs you and me to be Ambassadors to this enslaved world. We are always on mission. This world is always watching the King’s people. We are to go into all this world and hold up the Good News of Jesus Christ. But we are not to merely say it, we are to show it! 3. The Church consists of Believers in a Covenant Relation with Jesus Christ. We Have a Responsibility to Each Other because We are in Christ. We are not a collection of lonely islands. No we are a collection of stones that are made into a huge rocky peak, by the power of God through our Belief and Confession of this Blood Covenant. I can’t see it, I can’t even feel it sometimes, but there is a bond that is stronger than anything else I’ve ever faced. That bond is my marriage with my wife. That bond may be just a piece of paper filed in the Jackson County Courthouse. But it is a bond designed by God to be so tough, that if you ever break it, it will mess your life up and leave scars that only Jesus can heal. When you come to Jesus because His Holy Spirit has convicted you of your sin, and has spoken into the wee small crevices of your heart, a bond was forged between you and God. God says that bond will never be broken because He places the seal of His Holy Spirit within your life. You may not feel it, you may not sense it, but GOD LIVES IN YOU! And if you turn away from God, you neglect His word, it will mess you up! If it doesn’t mess you up to ignore Jesus Christ and neglect Him, there never was that bond. It’s like marriage, you know it when you neglect it and turn away from it. Now because of this Bond we have with God through Jesus Christ, we have a responsibility to love and pray and support others who have entered into this relationship with Jesus. The easiest way to take care of one another is through a local Bible Believing, Bible Preaching Church. The local church is built by Jesus on the Power of our Communion with Him through our Covenant Confession with Him. My wife and I have experienced the Power of our Covenant Relationship in Joining in the care of our Children and now our grandchildren. We have begun our own body of Tompkins, and I pray that we will all be built upon Jesus Christ. We Have a Responsibility to Build Strong Marriages and Families because they Reflect the Power of Christ to the World. We See that as far as God and His Plans are concerned, the Church is central, it is key. So Why is it important to Join a Church? When we are born again we become members of the church universal, we are baptized into one Body. Why do we need to join a Local Church? How Important is Church Membership? The leadership of Pleasant Prairie Baptist Church considers membership to be important from a polity and relational perspective. Polity: only members are allowed to have a say in the direction of our church by voicing their concerns and by voting. Relational: Membership enjoins us to certain responsibilities and obligations as detailed in our church covennt. Each of these proofs reveal that lack of membership would minimize or deny our spiritual growth in Christ. So the question this imagery raises for the local church that Paul is describing in 1 Corinthians 12 is: Who intends to be treated as a hand or foot or eye or ear of this body? There is a unity and organic relationship implied in the imagery of the body. There is something unnatural about a Christian attaching himself to a body of believers and not being a member of the body. Church membership is implied in the biblical requirement of Christians to be submitted to a group of church leaders, elders, or pastors. The point here is that without membership, who is it that the New Testament is referring to who must submit to a specific group of leaders? Some kind of expressed willingness or covenant or agreement or commitment (that is, membership) has to precede a person’s submission to a group of leaders. Consider the way the New Testament talks about the relationship of the church to her leaders. How is this leadership and this submission going to work if there is no membership defining who has made the commitment to be led and who has been chosen as leaders? If we downplay the importance of membership, it is difficult to see how we could take these commands to submit and to lead seriously and practically. Church membership is implied in the way the New Testament requires elders to care for the flock in their charge. Of course elders can extend their love to anyone and everyone, and should, within the limits of their ability. But the question is whether the Bible tells elders that they are to have a special responsibility and care for a certain group—a group of members. Consider Acts 20:28 where Paul tells the elders how to care for their flock. This verse does not say elders cannot visit unbelievers or those who are not yet members. But it does make clear that their first responsibility is to a particular flock. How are they to know who their flock is? Who are we as elders and pastors responsible for? For whom will we give an account to God? “Those in your charge” (your portion, your lot) implies that the elders knew whom they were responsible for. This is just another way of talking about membership. If a person does not want to be held accountable by a group of church leaders or be the special focus of the care of a group of church leaders, they will resist the idea of membership. And they will resist God’s appointed way for them to live and be sustained in their faith. Church membership is implied by the way the church is supposed to discipline its members. Consider the implication of Matthew 18:15-17 where “the church” (ekklesia) appears to be the final court of appeal in matters of church authority as it relates to membership. If your brother sins against you, go and tell him his fault, between you and him alone. If he listens to you, you have gained your brother. But if he does not listen, take one or two others along with you, that every charge may be established by the evidence of two or three witnesses. If he refuses to listen to them, tell it to the church. And if he refuses to listen even to the church, let him be to you as a Gentile and a tax collector. There are two implications here: One is that there is an “in the church” group and an “outside the church” group. Being in the church is definable. The other implication is that a person can be removed from being “in the church.” Such a formal removal would not be possible if there were no such thing as a clear membership—who is an accountable part of this body, and who is not? So for these five reasons and more we believe that membership is a New Testament expectation for all believers. Each of us should be a member of a local body of believers. We should take responsibility to discipline those of the body who do not repent from public sin that brings reproach on the name of Christ. We should declare ourselves part of the body so that if we are wayward, we ourselves would be liable to such exclusion. We should take our position under the leadership and authority of our church leaders. And we should find our place in the organic whole as a body part—a member—of a local body of Christ. That is God’s plan for us and for Pleasant Prairie Baptist Church. That is what we mean by membership. All of those aspects of membership are rooted in the truth that the local church is an expression of the universal church. Part of what it means to belong to the body of Christ is to belong to a local body. The New Testament tells of no Christians who are not accountable members of local churches in the sense that we have just seen. “Lone-Ranger Christians” are a contradiction because becoming a Christian means being united to Christ, and union with Christ expresses itself in union with a local body of believers. It seems to us that in the New Testament, to be excluded from the local church was to be excluded from Christ. This is why the issue of membership is so important. Are you an accountable member of a local church? Not just: Is your name somewhere? But, are you committed to discipline and being disciplined according to biblical standards? Have you publicly declared your willingness to be shepherded and to be led by the leaders of a local church? Do you see yourself and your gifts as part of an organic ministering body? Do you show by your firm attachment to Christ’s body that you are attached to Christ? Church membership is a blood-bought gift of God’s grace. More than most of us realize, it is a life-sustaining, faith-strengthening, joy-preserving means of God’s mercy to us. We urge you not to deprive yourself of this blessing. When I was about seven years old, my mom went away for a while. I did not know what was going on, but I found out later that there was problems between my mom and dad. Dad was a traveling salesman, gone 4 and 5 days a week, and Mom was raising three rambunctious boys. I think something serious happened, because Mom went away to Texas to live in a Psychiatric Hospital. She had a nervous breakdown. She went through electro-shock therapy. I had to go live with a strange family for a while because my Dad still travelled. My Mom and Dad almost didn’t make it. Somehow, Mom came back home and started dragging us to the Prairie Baptist Church down the street. She started making friendships with good caring friends. A couple men started visiting my dad. Glenn and Merl faithfully called on my dad, and didn’t judge him when he smoked and drank in front of them. They just kept inviting him to church. Finally he went, and went and went. Something different was going on in my family. Mom and Dad weren’t fighting like before. Before I knew it, Mom and Dad joined the church. Dad started taking a leadership role. He was different! It was that church and Jesus Christ that made a difference in our family, and the same has continued to make a difference in my family and now my kid’s families. The church is Vital and Powerful and is used by Jesus Christ to transform sinners into the children of God! Now That I’m A Christian…What Now? Congratulations! You have made a life-changing decision! Perhaps you are asking, “Now what? How do I begin my journey with God?” The Six steps mentioned below will give you direction from the Bible. 1. Make sure you understand salvation. We have all sinned. Our sinful nature means we are separated from our Holy Righteous Creator God. (Romans 3:23). Because of our sin, God has declared us “guilty” and the punishment for our sin is eternal separation from God in Hell. (Romans 6:23). Because God loved us, He sent His only son Jesus to die upon the cross to pay the penalty for our sins (Romans 5:8; 2 Corinthians 5:21). Jesus died in our place, taking the punishment that we deserved. His resurrection proved that Jesus’ death was sufficient to pay for our sins. God grants forgiveness and salvation to all those who place their faith in Jesus – trusting His death as the payment for our sins. Faith means that we have opened our heart to believe that which is unseen, yet we know in our hearts is true. (John 3:16; Romans 5:1; Romans 8:1). There is nothing that you can do to make you good enough or worthy enough to enter into heaven. You are “saved” ONLY by what Jesus Christ did for you on the cross. When your heart is opened to believe in Jesus as your personal Savior, you are born again and the proof of you being a new creation, a child of God, is the seal of the Holy Spirit who now lives within you. 2. Find a good Church that teaches the Bible. Don’t think of the church as a building. The church is the people. It is very important that believers in Jesus Christ fellowship with one another. That is one of the primary purposes of the church. Now that you have placed your faith in Jesus Christ, we strongly encourage you to find a Bible-believing church in your area and speak to the pastor. Let him know about your new faith in Jesus Christ. 3. Set Aside Time each day to focus on God. It is very important for us to spend time each day focusing on God. Some people call this a “quiet time.” Others call it “devotions,” because it is a time when we devote ourselves to God. Some prefer to set aside time in the mornings, while others prefer the evenings. It does not matter what you call this time or when you do it. What matters is that you regularly spend time with God. What events make up our time with God? (a) Prayer. Prayer is simply talking to God. Talk to God about your concerns and problems. Ask God to give you wisdom and guidance. Ask God to provide for your needs. Tell God how much you love Him and how much you appreciate all He does for you. That is what prayer is all about. (b) Bible Reading. In addition to being taught the Bible in church, Sunday School, and/or Bible studies – you need to be reading the Bible for yourself. A good place to start is with the Book of John. John presents the majesty and beauty of Jesus in the flesh. 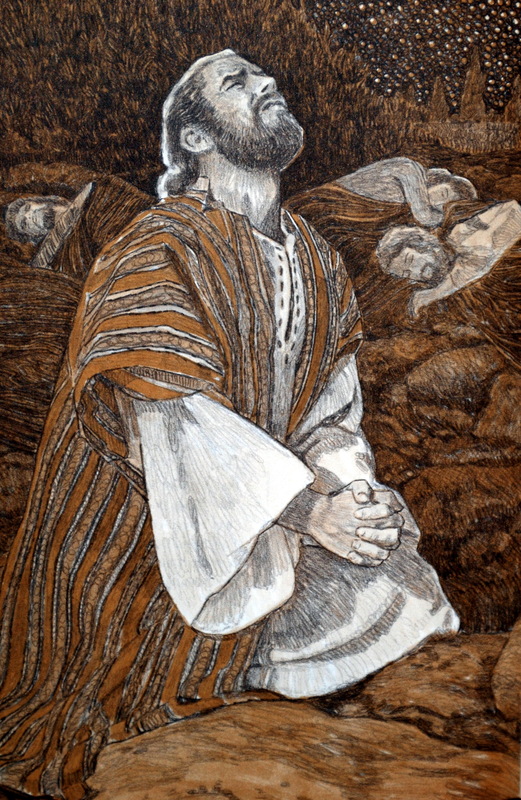 In John you will discover the Love of Jesus for His disciples. The Bible contains everything you need to know in order to live a successful Christian life. It contains God’s guidance for how to make wise decisions, how to know God’s will, how to minister to others, and how to grow spiritually. The Bible is God’s Word to us. The Bible is essentially God’s instruction manual for how to live our lives in a way that is pleasing to Him and satisfying to us. You have a new Teacher living within you – the Holy Spirit. Ask Him to teach you as you read the Bible. 4. Develop Relationships with people who can help you spiritually. 1 Corinthians 15:33 tells us, “Be not deceived: evil communications corrupt good manners.” The Bible is full of warnings about the influence “bad” people can have on us. Spending time with those who engage in sinful activities will cause us to be tempted by those activities. The character of those we are around will “rub off” on us. That is why it is so important to surround ourselves with other people who love the Lord and are committed to Him. Try to find a friend or two, perhaps from your church, who can help you and encourage you (Hebrews 3:13; 10:24). Ask your friends to keep you accountable in regard to your quiet time, your activities, and your walk with God. Ask if you can do the same for them. This does not mean you have to give up all your friends who do not know the Lord Jesus as their Savior. Continue to be their friend and love them. Simply let them know that Jesus has changed your life and you cannot do all the same things you used to do. Ask God to give you opportunities to share Jesus with your friends. Many people have a misunderstanding of baptism. The word “baptize” means to immerse in water. Baptism is the Biblical way of publicly proclaiming your new faith in Christ and your commitment to follow Him. The action of being immersed in the water illustrates being buried with Christ. The action of coming out of the water pictures Christ’s resurrection. Being baptized is identifying yourself with Jesus’ death, burial, and resurrection (Romans 6:3-4). Baptism also makes you a part of a local church, and assures you of the watch care of a group of believers who will have your best interests at heart. Baptism is not what saves you. Baptism does not wash away your sins. Baptism is simply a step of obedience, a public proclamation of your faith in Christ alone for salvation. Baptism is important because it is a step of obedience – publicly declaring faith in Christ and your commitment to Him. If you are ready to be baptized, you should speak with one of the Pastors at the church you attend. 6. Allow Christ’s Holy Spirit to Control Your Life. In order to live a Christ-Directed Life you need to be filled (controlled) by the Holy Spirit. We must realize that this is what God designed us for when we are “Born Again”. Jesus said, “I came that they might have life, and might have it abundantly” (John 10:10). “I am the vine, you are the branches; he who abides in Me, and I in him, he bears much fruit; for apart from Me you can do nothing” (John 15:5). “But the fruit of the spirit is love, joy, peace, patience, kindness, goodness, faithfulness, gentleness, self-control; against such things there is no law” (Galatians 5:22, 23). “But you shall receive power when the Holy Spirit has come upon you; and shall be My witnesses both in Jerusalem, and in all Judea and Samaria, and even to the remotest part of the earth” (Acts 1:8). The degree to which these traits are manifested in the life depends upon the extent to which the Christian trusts the Lord with every detail of his life, and upon his maturity in Christ. One who is only beginning to understand the ministry of the Holy Spirit should not be discouraged if he is not as fruitful as more mature Christians who have known and experienced this truth for a longer period. Why is it that most Christians are not experiencing the abundant life? The self-directed man trusts in his own efforts to live the Christian life: He is either uninformed about, or has forgotten, God’s love, forgiveness, and power (Romans 5:8-10; Hebrews 10:1-25;1 John 1; 1 John 2:1-3; 2 Peter 1:9; Acts 1:8). He has an up-and-down spiritual experience. He cannot understand himself – he wants to do what is right, but cannot. One becomes a Christian through the ministry of the Holy Spirit, according to John 3:1-8. From the moment of spiritual birth, the Christian is indwelt by the Holy Spirit at all times (John 1:12; Colossians 2:9, 10; John 14:16, 17). Though all Christians are indwelt by the Holy Spirit, not all Christians are filled (directed and empowered) by the Holy Spirit. The Holy Spirit is the source of the overflowing life (John 7:37-39). The Holy Spirit came to glorify Christ (John 16:1-15). When one is filled with the Holy Spirit, he is a true disciple of Christ. In His last command before His ascension, Christ promised the power of the Holy Spirit to enable us to be witnesses for Him (Acts 1:1-9). How, then, can one be filled with the Holy Spirit? Then We Can Experience the Abundant and Fruitful Life Which Christ Promised to Each Christian. Please remember that this does not mean your life will always be great. The Holy Spirit will take you through times of testing and tribulation, just as He did Jesus, but always with the goal of producing the Character of Jesus Christ in your life. Faith holds on when things are darkest. But whatever God takes you through, He will never abandon you there. He will bring you through the valley and you will find increased faith and strength of character that is more precious than the purest gold. Sincerely desire to be directed and empowered by the Holy Spirit (Matthew 5:6; John 7:37-39). Confess your sins. By faith thank God that He has forgiven all of your sins – past, present and future – because Christ died for you (Colossians 2:13-15; 1 John 1; 2:1-3; Hebrews 10:1-17). 1. His Command – Be filled with the Spirit. “And do not get drunk with wine, for that is dissipation, but be filled with the Spirit” (Ephesians 5:18). 2. His Promise – He will always answer when we pray according to His will. “And this is the confidence which we have before Him, that, if we ask anything according to His will, He hears us. And if we know that He hears us in whatever we ask, we know that we have the requests which we have asked of Him” (1 John 5:14, 15). Being Filled and Controlled by the Holy Spirit is not a one-time event like being Born Again (Becoming a Christian). It is a daily, moment by moment walk with the Holy One who lives within you.